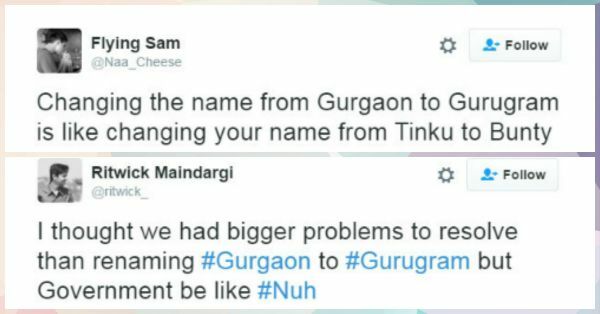 10 Hilarious Reactions To Gurgoan Being Renamed Gurugram! 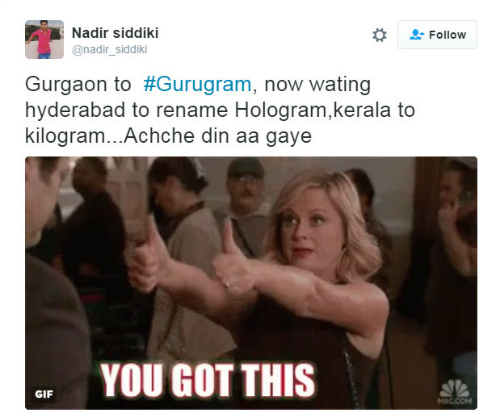 So, apparently Gurgaon is being renamed to Gurugram. And people have some hilarious reactions to that. 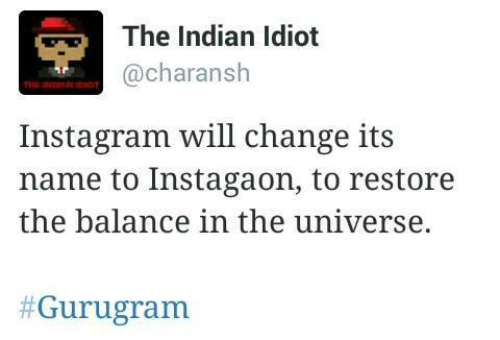 They've posted what they feel about this on Twitter and it's a laugh riot, all right! 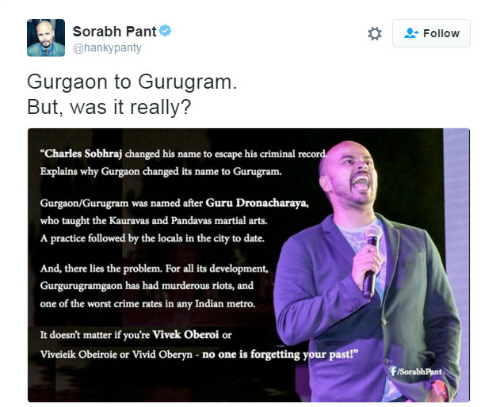 Read on to see how Gurugram is being trolled! 3. This one definitely made us laugh! 7. This comedian sure knows how to deliver the punchline! 8. Or do we still need to grow up and stop changing names?! 9. And his hilarious expressions made us laugh even harder! 10. And THIS would have been less of a laughing matter! Image: Anuvab Pal on Twitter MUST-READ: PC Just Recieved The Padma Shri – Here’s How She Celebrated!! MUST-READ: 6 Pics That Show Exactly Why Will & Kate Won Our Hearts!